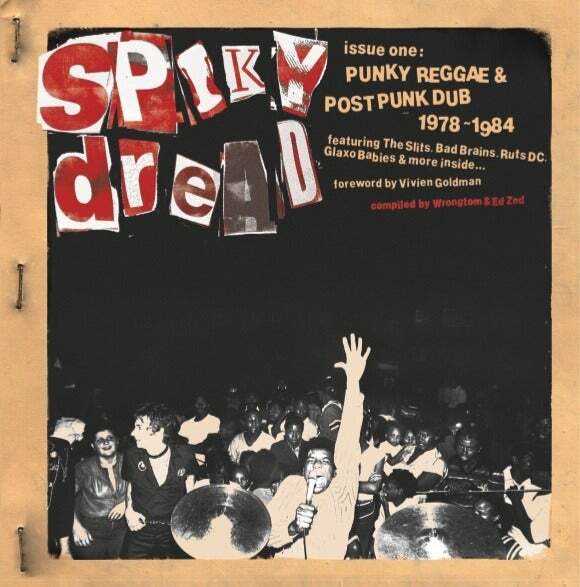 A year or so back I set about putting together a documentary with my friend Ed Zed entitled Spiky Dread which covered a decade’s worth of reggae and dub tracks made by a bunch of punks (and post-punks if we’re gonna quibble over genres). Time and money, or the lack of both got in the way of the project but we were left with a wealth of incredible music and a black book brimming with contacts, each with a unique story to tell. With the whisperings of a compilation in the works I figured it’d be fun to share a few findings and favourites from the genre which never was. There’s a fairly loose remit to the tracks in question, from the feral reggae of The Flesh Eaters to The Pop Group’s dub-laden free jazz workouts, with a vague time-line of ’76 to ’86 (though exceptions will no doubt occur), this blog’s about the punks and new wavers that strayed into the echo chamber, the jilted Johnny one-drops. This is not about ska-punk or even the “nuttier” side of Two Tone so cast off those braces, leave your DM’s at the door and get ready for some uneasy skanking.